Monsoons are here (yippee! !,) but who all look roasted because of the reminiscent summer tan? I know I do. My face and my neck have become slightly dissimilar in shade, but the major difference can be seen on my arms, and my feet. I can’t even remember the last time I saw my feet without those horrid chappal tan marks. So I have decided it’s time to whip out some natural remedies for damage control. Here are my three tried and tested natural remedies for removing tan. Let us start by scrubbing away the dead, dull and tanned skin. If you don’t have rice flour at home, just ground some rice in a mixer. Rice flour acts as an excellent scrub and when mixed with curd, is good for removing tan. Apply it for 15 minutes on the affected areas and then scrub away for a good five minutes before washing it off. I am sure this natural remedy has been tried by everyone and their dogs. As I am focusing more on removing tan from the body, I am going to add more amount of lemon juice then I normally would if I were to make this for my face. Apply a thick layer all over the affected skin, leave it on for around 15-20 minutes, and then remove it in gentle circular motions. If you use granular gram flour than it will also act as a mild scrub. Curd is the ingredient that is consistent in all my favourite home remedies. Along with making the skin brighter and smoother, curd is known for healing sun-burnt skin. Another well-known ingredient in many homemade beauty treatments is tomato. Tomatoes are nourishing for skin and good for healing sun burns as well. Add oatmeal, which is great for soothing irritated skin, as a mild exfoliation. Again I will suggest you to leave this pack on for at least 20 minutes. Be creative, you can of course mix the ingredients of these beauty recipes or add more natural ingredients. If curd doesn’t suit you, add cucumber juice, honey or mashed bananas instead. Before bath is the only time I can think of applying these homemade tan removal packs, so I can leave the packs on for a long duration and wash them off nicely too (natural remedies do get a little messy.) Don’t forget to pay attention to the much neglected back of your neck. Pamper your skin with these natural remedies which are easy to prepare and highly affordable. 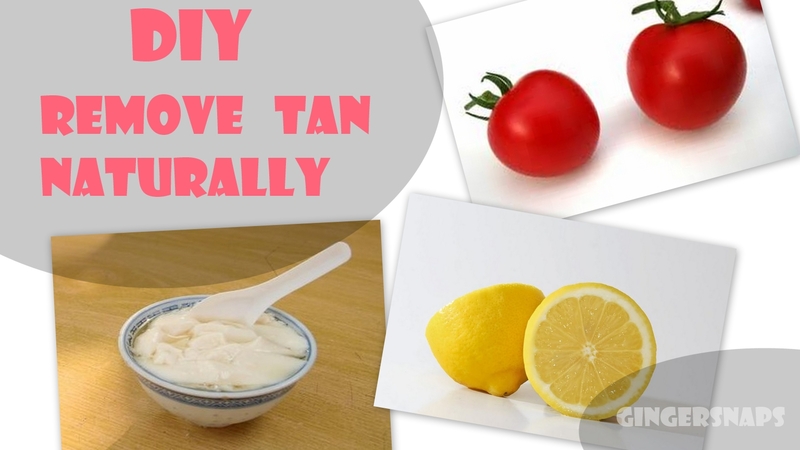 Do you have any other special natural remedy that is effective to remove tan? Do tell me. I'm gonna try the rice flour one, hadn't heard of that till now..
Hey Karishma..how are you doing? Thanks for stopping by my blog...and OMG i feel the same way..I dont know how I did not come across ur blog earlier..its so gorgeous, I am struck by how clean and beautiful the design is.. I am so totally gonna try these packs..
My first instinct would be to follow u on GFC but that is going soon..so lets follow each other on bloglovin..im following..